Home Off Beat	A shark in the bathroom – Its not safe in there! A shark in the bathroom – Its not safe in there! Sharks have earned themselves a bad reputation when in those salty waters. Fear no more, because the one patrolling your bathroom is not a âgreat white’. 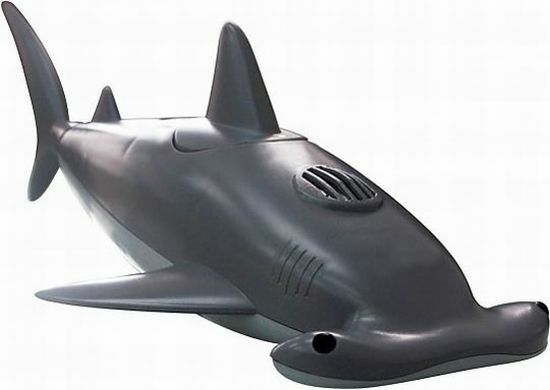 Its a hammerhead shark radio! It requires 2 x AA batteries and the product is available over at the Red5 website for Â£12 (about $18 USD). So now itâs safe and enjoyable to take bath or shower with a shark in the bathroom. Let your dog express its warrior instincts!